Many people are misinformed about what a commercial pilot is. They assume that if someone is a commercial pilot, they are an airline pilot. While it's true that an airline pilot is, indeed, a type of commercial pilot, the opposite is not always true: A commercial pilot is not necessarily an airline pilot. Commercial pilots can be cargo pilots, tour pilots, or backcountry pilots. They can be flight instructors, ferry pilots or glider tow pilots. A commercial pilot is simply one who is allowed by the FAA to charge money for services. To fly a regularly scheduled passenger service, or to fly for an airline, you'll also need to gain the additional requirements for those specific jobs. For instance, an airline pilot needs to have a commercial pilot certificate along with an Airline Transport Certificate (ATP) and must work for a regularly scheduled air carrier or some certificated operator to charge money. If you're interested in becoming a commercial pilot, don't be intimidated by thoughts of airline pilot training. Commercial pilot training is not usually done in a jet, although it can be. In fact, many people complete the commercial pilot certificate in the same aircraft that they completed their private pilot certificate in — a small four-seater aircraft. The main difference is that for the commercial certificate, students need to acquire 10 hours of flight time in a high-performance aircraft, so some choose to do the entire training in a high-performance aircraft. Commercial pilot applicants must be at least 18 years old, be able to read, speak, write, and understand English, and hold at least a private pilot certificate. The most common reason people can't begin their commercial training is that of lack of experience. 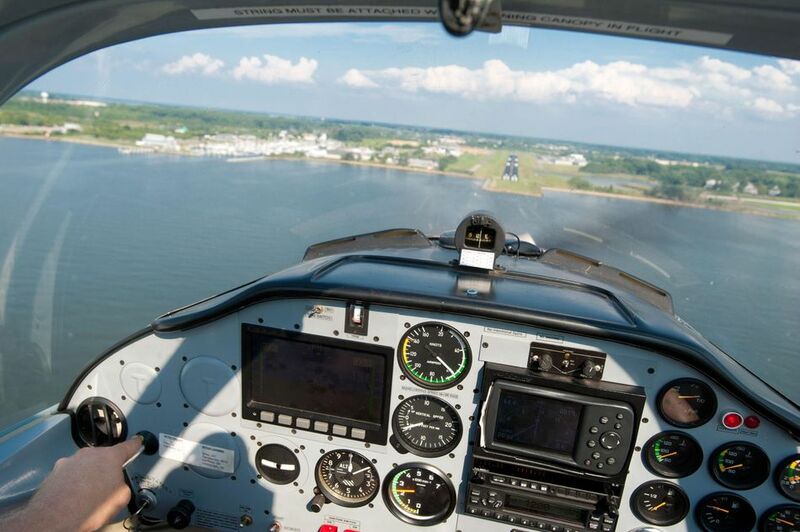 A pilot needs at least 250 hours to earn a commercial pilot license. 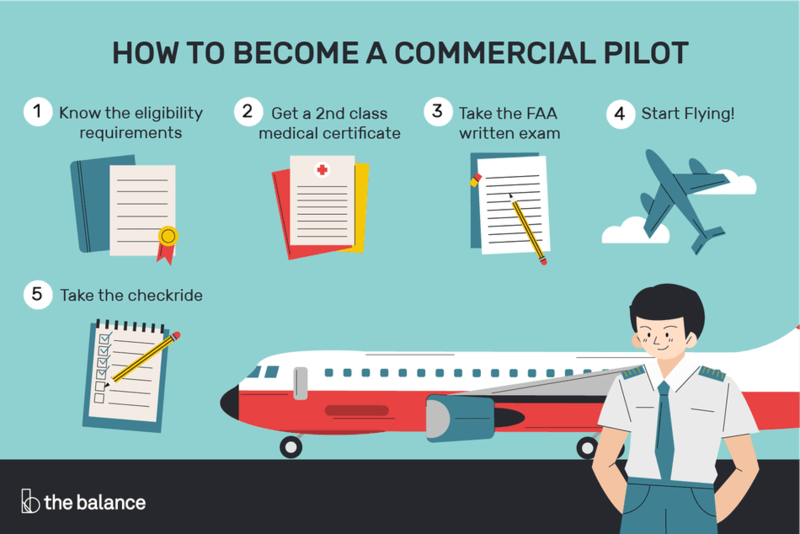 Since you must have a private pilot certificate to begin commercial training, the chances are good that you already hold an aviation medical certificate. If it's a 3rd Class medical, you may want to get a 2nd Class medical certificate; you'll need at least a 2nd Class medical certificate to utilize your commercial pilot privileges, and there's nothing worse than finding out you can't pass a 2nd Class medical exam once you've completed your commercial training. Just like with the private pilot certificate, you'll want to get the written exam out of the way early in your commercial pilot training. That way, you'll have the extra knowledge in your head already, and it will also serve as a refresher if you've taken some time off. Once your written exam is complete, you can focus on flying. A commercial pilot applicant needs to demonstrate proficiency, but also needs to have some experience. To obtain a commercial pilot certificate under CFR Part 61, you'll need at least 250 flight hours, including 100 hours of pilot-in-command time and 50 hours of cross-country flying. Also, you'll need to get at least 10 hours of instrument training and 10 hours in a complex aircraft. During your commercial pilot training, you'll learn new maneuvers, and you'll have to be more consistent and precise than during private pilot training. You'll also learn to fly longer cross-country flights, including at least one cross-country flight that is at least 300 nautical miles total and includes a single leg of at least 250 miles. Once you've mastered the commercial flight maneuvers to the new standards and learned all about the privileges and limitations of the commercial pilot certificate, your instructor will sign you off for the checkride. Since you've taken checkrides before, you know what to expect: a couple of hours of groundwork for the verbal portion of the exam and a quick flight is all it takes. Remember, the examiner is testing to see what kind of commercial pilot you'll be, so act very professional at all times. Don't skimp on the seatbelt briefing, and remember that precision is crucial, don't do anything sloppy.